Pro Bowl picks reflect that Tom Brady has time to work and the defense has greatly improved. FOXBOROUGH, Mass. 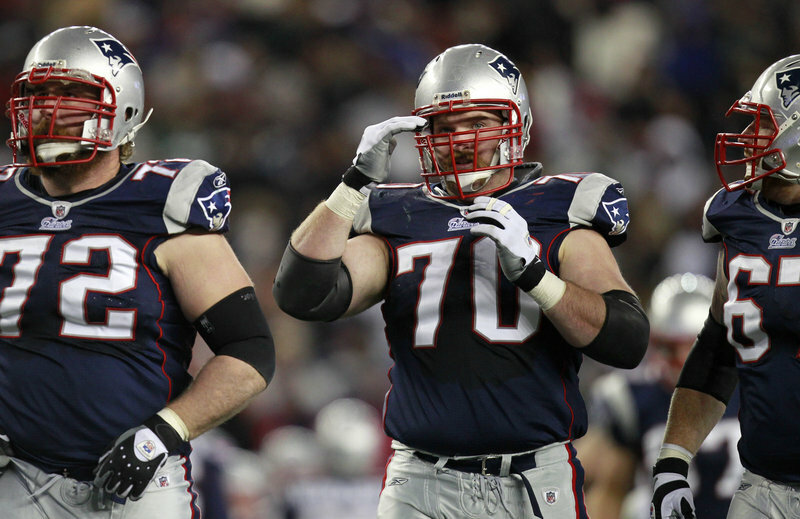 – Offensive lineman Logan Mankins played just eight games and still made the Pro Bowl. And if his New England Patriots win two playoff games, they’ll reach the Super Bowl. The left guard isn’t thinking much about any of those games. His focus is on Sunday’s regular-season finale against the Miami Dolphins, even though it has no impact on either team’s place in the standings. Mankins was chosen for his third Pro Bowl despite sitting out the first seven games in a contract dispute. The Patriots lost his first game back but have won all seven since. Mankins’ ability to shove aside defenders has been a big reason for the team’s improved running game, Tom Brady’s lack of an interception in those eight games and the NFL-best 13-2 record that earned the Patriots home-field advantage throughout the AFC playoffs. Mankins is signed through this season after sitting out while trying to get an extension, but said he doesn’t have extra motivation just to show he deserves one. Coaches agree that his work ethic and toughness are exceptional. “He’s known throughout the league for his physical play and the fact that he’s a smart guy,” Miami Coach Tony Sparano said. Mankins’ own coach, Bill Belichick, also described him as tough and smart. That description doesn’t fit the other five Patriots selected to the Pro Bowl on Tuesday — Brady, defensive lineman Vince Wilfork, linebacker Jerod Mayo, cornerback Devin McCourty and safety Brandon Meriweather. Brady was chosen for the sixth time in his 11 seasons and is a leading candidate for the league’s MVP. He leads the NFL in passer rating, in touchdown passes with 34 and in fewest interceptions with four. He hasn’t had a pass picked off in 10 games. The Patriots’ six players are the most in the AFC, not surprising considering the team’s success. The fact that four defensive players were chosen indicates the team has improved in that area after giving up a lot of yards for much of the season. The Pro Bowl is scheduled for Jan. 30 in Honolulu, but the Patriots players chosen would vastly prefer to play a week later in the Super Bowl at Cowboys Stadium in Dallas. “I don’t know if there’s many people that come into a season as a rookie and kind of expect all of this to happen,” McCourty said. He’s tied with Cleveland’s Joe Haden for most interceptions by a rookie with six. Mayo leads the NFL with 186 tackles. Wilfork is the old-timer of the Patriots’ defensive contingent for the Pro Bowl. Now in his seventh season, he was chosen for the second straight year and the third time in the past four. A nose tackle most of his career, he’s played several positions on the defensive line this season. He and Mayo are team captains and often talk with each other while coming off the field. Communication takes on added importance with a young defense such as New England’s. Meriweather, a first-round pick in 2007, was chosen for his second Pro Bowl despite an inconsistent season. He didn’t start three games and has a tendency to gamble on plays. Second-year safety Patrick Chung has also been impressive.